A first look inside Huguette Clark's astonishing $2 million doll collection from the new book "Empty Mansions." This is the first of three excerpts adapted from the new book "Empty Mansions: The Mysterious Life of Huguette Clark and the Spending of a Great American Fortune," by NBC News investigative reporter Bill Dedman and Paul Clark Newell Jr. The house of Christian Dior held fashion shows at the palatial French consulate in New York, just up Fifth Avenue from Huguette’s apartment, with models showing the latest Parisian fashions. On the afternoon of one of these shows in the late 1950s, a familiar name showed up on the guest list. "Mrs. Huguette Clark!" exclaimed the consul general, Baron Jacques Baeyens, who had married Huguette’s niece. "Look, she’s not going to come. She’s my aunt, and she never goes out." The representative from Christian Dior replied, "Oh, yes, she will. She wants to see the dresses to dress her dolls." And she did. Huguette, then just past 50, walked the three blocks up Fifth Avenue to the consulate to view the latest fashions from Paris. When Huguette Clark died in 2011, she left all her fortune to her longtime nurse, her accountant and her attorney, but nothing for her family. Now, distant relatives are taking her will to court and a new account of the heiress sheds light on her final wishes. TODAY's Erica Hill reports. Huguette Clark, who grew up in the biggest house in New York, was, like her father, a meticulous designer of extravagant houses, only on a smaller scale. These were dollhouses, but more than dollhouses. There were her German tabletop story houses, actually little theaters with scenes and characters painted on the walls. 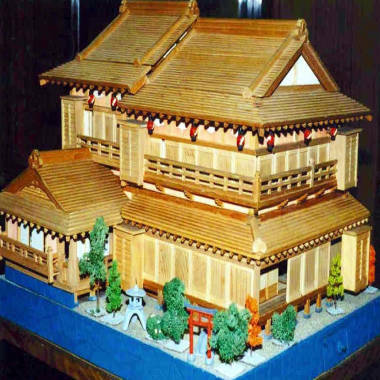 There were her Japanese models of castles and tea houses, designed by Huguette and made for her by an elderly artist in Japan. Focused on every detail, Huguette tried to get the artisans, some of them 4,000 miles away, to be more careful with their measurements. The houses had to be in proportion to the dolls that went with them. The following cable is typical, sent when Huguette was 58 years old to an artist who made small, posable dolls based on fairy-tale characters and sold them door-to-door in a Bavarian town. On a single day in 1993, when Huguette was 86, she bought two French dolls from the 1800s, including this Jumeau. 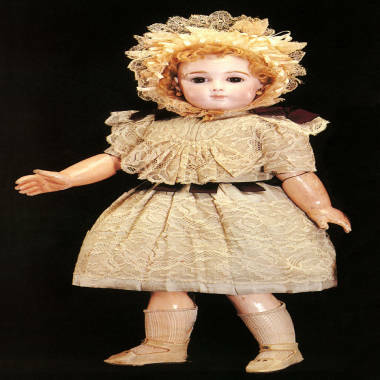 She bought dolls at auction from her hospital room through her attorney. She paid nearly $30,000 for the pair, but had authorized her attorney to bid up to $135,000. She nearly always was the winning bidder. "Rumpelstiltskin house just arrived. It is beautifully painted but unfortunately is not same size of last porridge house received. Instead of front of house being 19¾ of an inch wide it is only 15½ inch wide. Please make sure religious house has front of house 19¾ of an inch wide. Would also like shutters on all the windows. Would like another Rumpelstiltskin house with same scenes with scene where hay is turned to gold added as well as scene before hay is turned but with wider front and also wooden shutters on every window. With many thanks for all your troubles and kindest regards. Huguette Clark, 907 Fifth Ave NYC." Rudolph Jaklitsch, born in Austria-Hungary in 1910, immigrated to New York from Yugoslavia before World War II and fought in the U.S. Army during the war. Trained as a cabinetmaker and restorer of antiques, Rudolph was hired by Huguette after the war to work on her dollhouses. When the houses arrived from their makers, Huguette would send them to Rudolph’s apartment in Sunnyside, Queens, for modifications. His wife, Anna, made the little curtains. Their daughter Linda Kasakyan recalls the frequent phone calls at home in the evening. It would be Madame Clark with an idea for a change to one of her houses. Then five minutes later, another instruction. The phone might ring six times in a night. Rudolph would say, it would be so much easier to know what she wanted if he could sit down with her. But she would talk with him only on the phone or through her apartment door. Rudolph worked for Huguette for 30 years and saw her only twice. "The little people are banging their heads!" In her dollhouse building, as in her many other art projects, Huguette blended an artistic sensibility and imagination with a meticulous drive for precision, a commanding self-assurance, and an overwhelming generosity. Rudolph, her dollhouse cabinetmaker, found Huguette charmingly frustrating. But she paid so extravagantly that he could never say no. In addition to paying for his time, she sent gifts to his children and grandchildren, including an early computer, a puppet theater with 100 fairy-tale characters, and a second puppet theater so large that the family gave it to a school. She sent monetary gifts to the family as well. At Christmastime, Huguette would take three weeks to send out her dozens of Christmas cards, carefully redrafting each one until it suited her. ("I don’t like holidays," she said with mock suffering, "because there is so much to do. Too much!") Rudolph’s family was one of many to receive her "small gift," a check for $20,000. Later, the little gifts grew to $30,000, then $40,000. Estate of Huguette M. Clark, from the book "Empty Mansions"
Huguette Clark designed and commissioned many tabletop reproductions of Japanese buildings: castles, tea rooms, houses, temples. When Rudolph died in 2000, Huguette kept sending the checks to his widow. When his widow died, the checks kept arriving in the names of their children. All the grandchildren of Rudolph and Anna Jaklitsch went to good colleges, paid for by Huguette and her "little people." Copyright © 2013 by Bill Dedman and Paul Clark Newell, Jr. Excerpted by permission of Ballantine Books, a division of Random House LLC. All rights reserved. No part of this excerpt may be reproduced or reprinted without permission in writing from the publisher. Tomorrow: Part two, inside the hospital room. Learn more about "Empty Mansions." All of the NBC News stories on Huguette Clark are at http://nbcnews.com/clark/. The trial over Clark's $300 million fortune is scheduled to begin Tuesday, Sept. 17. Co-author Paul Newell, a cousin of Huguette Clark, is not involved in the legal contest. 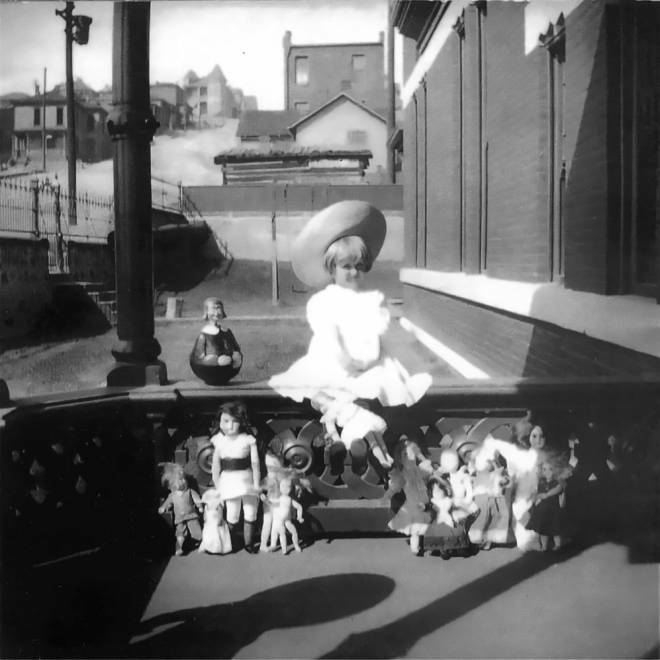 Collection of Paul Clark Newell Jr., from the book "Empty Mansions"
Huguette Clark, at about age 4, sits with her doll collection on the porch of her father's mansion in Butte, Montana, in about 1910.